Back into Manchester for work-related reasons for the first time since 18th December. The Christmas holidays are over for us all. 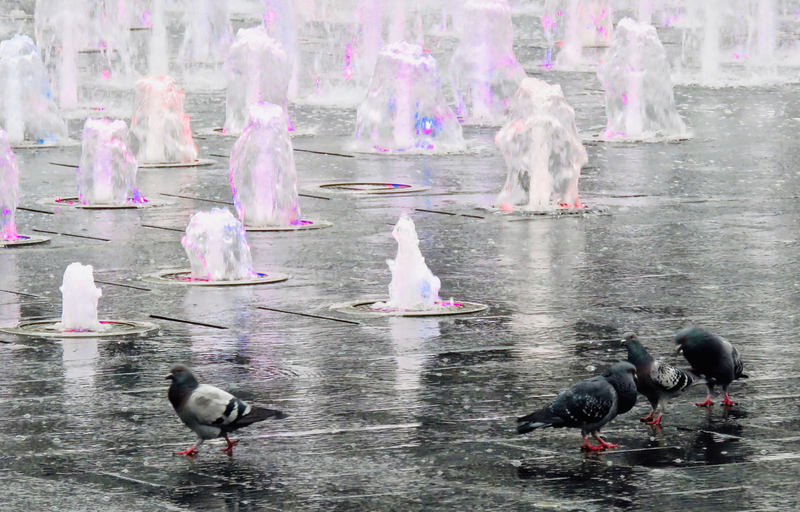 These pigeons ponder the possibility of a dip in the fountains of Piccadilly Gardens, but understandably refuse — it was a chilly day, winter has its bite back to some extent. Who first came up with the concept of a gargoyle, I wonder? Take what is, in essence, a piece of guttering, and wrap a little monster face around it? Someone must have thought of this first, back in antiquity, and the idea caught on. 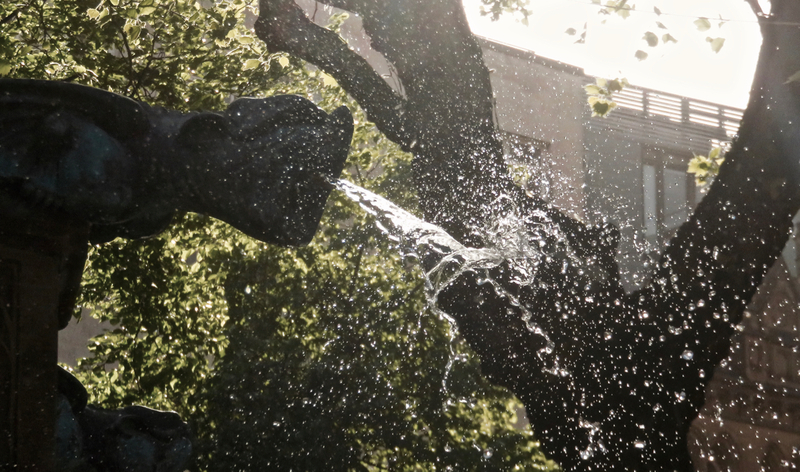 This one graces the fountain in Albert Square, Manchester, and caught the light quite well on this sunny morning. 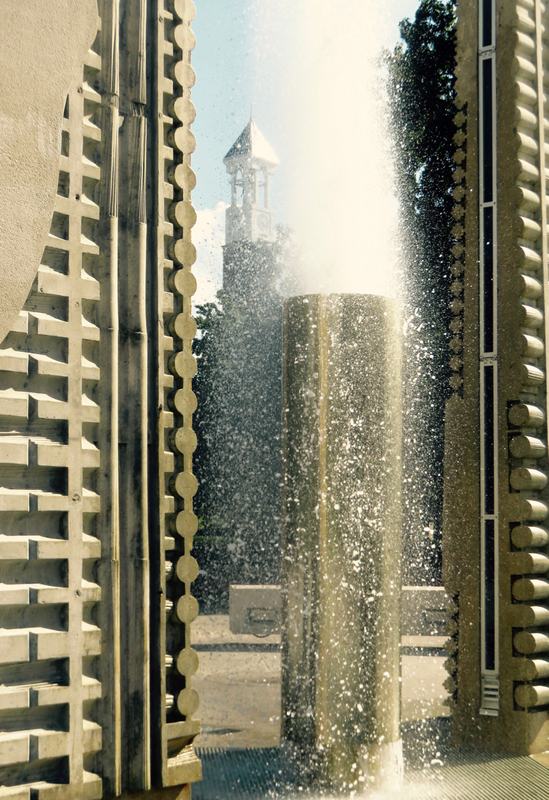 My third and last full day at Purdue. With both the previous pictures having been taken indoors I thought it was time to get out into the continuing sunshine. This is an old campus but very few of the buildings on it are particularly old, it seems to have been completely rebuilt: the bell tower looks old but was only constructed in the 1990s. It’s been a good trip to the US in various ways but I am very tired and now it’s time to go home. Phew! What a Scorcher, blah blah… actually it was rather cooler today than it has been. 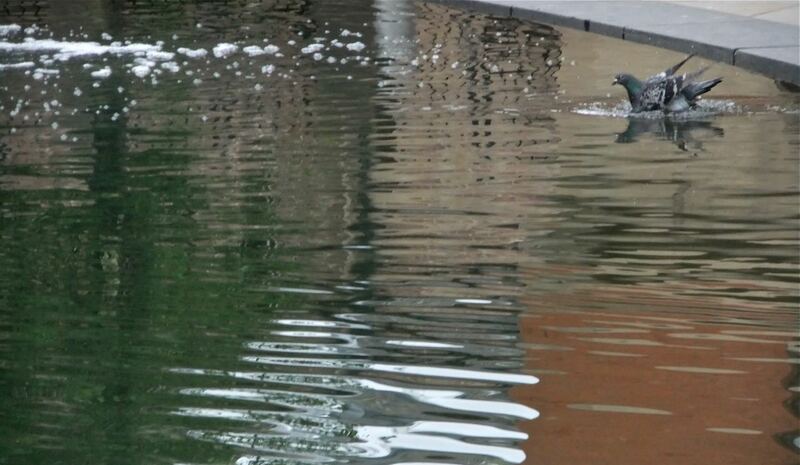 I bet this pigeon frequently takes a dip in the fountain, either way. It was certainly quite civilised about it, going about it like some old geezer who still insists on swimming in the Serpentine every morning. It’s Joe’s birthday this weekend. For the first part of his treat, went into Manchester to see Oliver!, courtesy of my sister. But we had pictures from the theatre last weekend, so let’s vary the scenery. 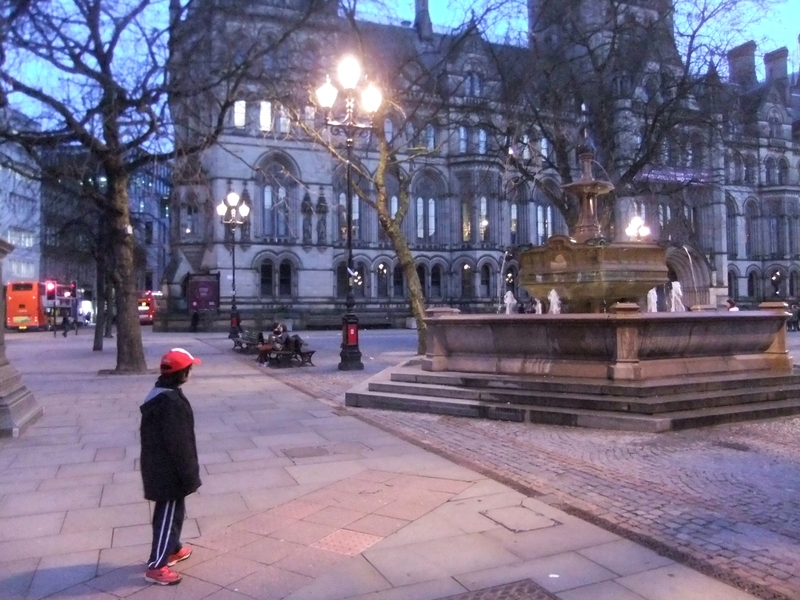 I like Albert Square, it’s about the only part of Manchester which is picturesque, at least, on the few days a year when there’s not a bunch of tents, market stalls, traffic cones or something else covering the cobbles.